16 Fun Things to do in Hillcrest. You probably had a fun travel experience in 2018, and may be looking forward to more enjoyment this year. Travelling is always fun, and there are so many options to explore, from crystal clear beaches, panoramic views, sumptuous cuisine, breathtaking architecture, to diverse cultures. That being said, it all depends on the place you choose, and the activities and facilities it has to offer. There’s a variety of hidden gems across the globe. So when you have explored different parts of Asia, America and Europe, what’s next? You may have heard of Hillcrest, near Durban South Africa, before. Yes, it’s a top destination you shouldn’t miss this year. Of course, for a traveller, knowing as much as you can about a destination, is worth the effort. Understanding the best activities and adventures in the area is a great start. 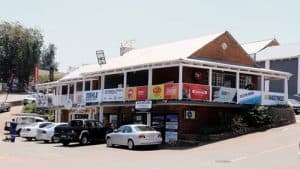 Hillcrest has been increasing in popularity because of its great attractions, vibrant culture, friendly people, and wide range of activities. It’s no surprise that tourism in the are continues to skyrocket. It’s expected to increase even further in 2019. Well, as a traveller, if you are looking for an intense adventure at the start of your tour, Giba Gorge Mountain Bike Park is good place to start. Located in Giba Gorge, this top-notch park provides riders with a range of trails. It’s ideal for starters and advanced riders and has a wide variety of trials for every type of rider. What’s interesting about the park is the area. It’s peaceful and perfect for those who want to unwind. Instead of riding an obstacle course, why don’t you relax in the coffee shop? There are a wide range of options to choose from, all sorts of food and drink to tickle the taste buds. It’s best enjoyed with your family, someone special, relatives, or friends. Giba also hosts night trail runs throughout the year for the more adventurous. Since opening, they have been a favourite of people of all ages. Kids, teens, and adults alike. Give it a go you won’t be disappointed. After exhausting jumps in Giba, what’s next? It’s good to cook and eat good food. 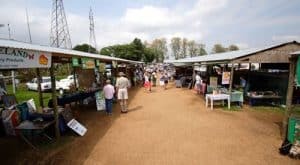 Shongweni Farmers Market is the place you cannot afford to miss. There’s a large number of stalls for fresh produce, olives, preserves, delicious fruity jams, sweet cakes, and more. While browsing the stalls, there is a soft play area for the kids. Kids under 4 are free of charge, allowing moms and dads to shop with peace of mind. The market is also pet friendly so bring along the dog, or cat. If your feeling peckish or thirsty, there is a wide range of food and drink available and ample place to sit and enjoy the views and chat with friends and family.Keep an eye on their website for various events like live music and the annual Christmas Extravaganza market. There are also other events on public holidays, but these are also generally announced on their website. Shopping should be exciting. Oxford Village Shopping Centre makes the experience fulfilling. Known as the place for a family outing in Durban, this shopping centre is where you can spend some quality time with family. Aside from many quality shops, there are a number of great eateries. Another thing that travellers love about Oxford Village Shopping Centre is that it’s easy to find. It’s just right on the main road running thru the town centre. This shopping centre also has great architecture, as the whole centre is built with Victorian-style buildings and set amongst a variety of lively rose gardens. It’s generally not a crowded place for shopping, which lends to a more relaxed shopping experience. 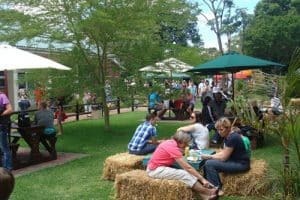 Have you heard about the Hillcrest Heritage Market? It’s a great place for a day out with the family, but it only happens every last Sunday of the month. Located on the 1000 Hills Tourist Route, Heritage Market provides a great morning of entertainment. While you can shop for organic produce at a competitive rates, you can also have a healthy breakfast or lunch. There are lots of different farm produce available, from fruits and vegetables, nutritious bread, pies, and tarts and cakes. Whether you’re addicted to cheese or olives, the Hillcrest Heritage Market has got you covered. There’s a range of cheese and olives to pick from various stalls. Not only that, there’s more! Sun dried tomatoes and various types of meats and Biltong and Droe Wors are available. As a traveller, its always great to pick a few precious treasures on your travels. Hillcrest Heritage Market has plenty to offer. There are paintings, restored pieces of furniture and other local arts and crafts. Well worth the visit if your staying in the area at the right time of the month. Everyone wants to live in a cosy and stylish home. It’s not always that easy to turn into a reality, as its sometimes a struggle to choose the right décor to fit the style of your home. At Second Treasures Décor, you will find well-crafted products. Most of them are made from old and recycled materials. But they are sturdy and very reasonably priced. More than that, they can complement your home, and enhance its appeal. Second Treasures Décor is ideal for those who want a sustainable and fancy home. It can also be a good step towards living in an eco-friendly yet comfy house. Another thing that travellers enjoy about Second Treasures Décor, is the friendly staff. They are very knowledgeable in all things decor and always there to help and give advice. Have you dreamt of riding a horse? You’re not alone! Many people feel the same thing. 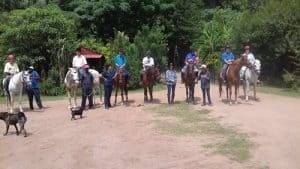 Make it happen in 2019 at Giba Gorge Horse Trails. Situated in Giba Gorge Valley, this horse riding and trail centre has been in operation for more than a decade. All horses are trained for every traveller’s safety. Great comfortable rides are what to expect at the end of the day. As your journey starts, you will be in awe of the trails. They are exquisite and impressive. There are crystal clear rivers and waterfalls and landscapes to die for. Apart from that, you can witness a plethora of wildlife and fauna. Nothing can beat seeing animals in their natural habitat. Domestic and foreign tourists highly recommend Giba Gorge Horse Trails for a great day out. Try it now and see the difference. Will your special someone celebrates her birthday? Or is your anniversary fast-approaching? Why don’t you bring her to a flower garden like Ludwig’s Star Roses? Known as a nursery with exquisite roses, Ludwig’s Star Roses will make your girl feel very special. Ludwig’s Star Roses are famous for their eco-chic roses. These are known as ever-flowering. 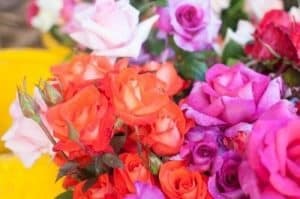 Of course, nothing is sweeter than giving her a beautiful bouquet of fresh roses. Looking for souvenirs for your friends, relatives, and colleagues? Woza Moya Craft Store has what you need. 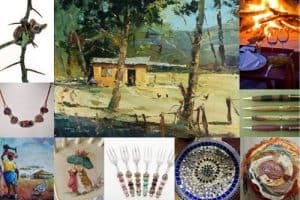 There are exquisite bead work and other stunning pieces you should buy before you leave Hillcrest. 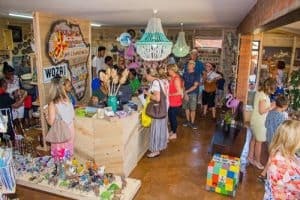 Woza Moya Craft Store is divided into three arts and craft shops. You can find fancy clothing, accessories, ornaments, gifts, and pieces of jewellery. It’s a one-stop shop where you can find a range of options. Other choices include crocheted pieces, wire-and-bead creations, and wire work. While you get quality souvenirs, you become a part of a good cause. For every purchase, you can give a hand to those who are suffering from HIV/AIDS. It’s a big help and a great way to give to those in need. Want to explore something different while in Hillcrest? This is where Valley of a Thousand Hills comes in. You can start from Durban to Kranzkloof. Then, explore Monteseel, Midmar, and Nshongweni Dam. The breathtaking Valley of a Thousand Hills is one of those few holiday destinations that has something for everyone. Unspoilt nature, wildlife, magnificent scenery, wining and dining, and warm country hospitality. 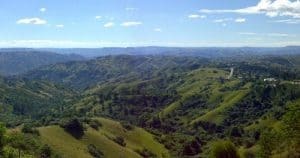 The area is named after the thousands of hills which tumble down to the mighty Umgeni River, which flows from the distant Drakensberg Mountains to the warm inviting Indian Ocean. Is it possible to stay fit even though you’re travelling? Yes, it’s always possible. 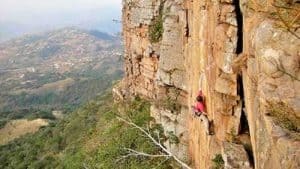 If your fitness regimen has been ruined while traveling, try your hand at rock climbing at Monteseel Rock Climbing Routes, but always go with an experienced guide. Known as a rocky crag beyond Botha’s Hill, Monteseel has some magnificent views. Considered as one of the oldest places to climb in Monteseel, it has more than 300 routes for new and advanced climbers. The good news is that most of the routes are easy to climb. It’s even ideal for children who love extreme adventures. For those who would like more of a challenge, it has also got you covered. Travelling without tasting the great food on offer in Hillcrest would be a sin. 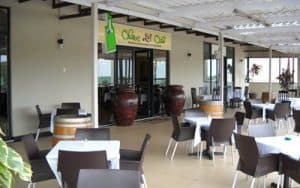 With a multitude of restaurants in the place, Olive and Oil is one place you need to try. Whether you’re craving a light meal, grill, Mediterranean cuisine or seafood, this restaurant is an excellent choice. Other extraordinary restaurants are Mythos (Greek, South African, Traditional, Mediterranean, and Vegetarian), Stretta Café (Italian), and Butlers Restaurant (Contemporary & Italian). Feel like a bit of golf while having a break? Cotswold Downs Golf Course has an untainted and undeniable beauty and a great course for all skill levels. 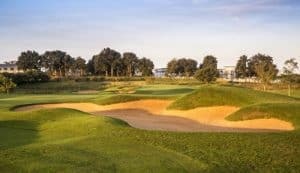 Built 18 years ago, this golf course is world-class and will challenge any golf enthusiast out there. Situated in Hillcrest, Durban, Cotswold Downs Golf Course is known for its natural abundance and splendour. For those travellers who want to unwind, this is probably an excellent place to explore. There are dams, ponds, and wetlands, enhancing the golf course’s aesthetic appeal. There is also a diverse range of bird life and other wild animals to be found on the course, giving you that feeling of playing in the wild. It’s definitely a worthwhile experience. 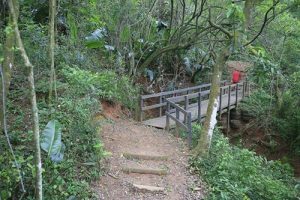 Found in the midst of Hillcrest, Springside Nature Reserve only requires a 16-minute drive from Durban. As a 21 hectare reserve, Springside lies wetlands and grasslands. Most travellers consider it a paradise. Springside Nature Reserve is home to indigenous flowers, different mammals, wetlands, swamp forest, scarp, and grasslands. It often holds kids’ environmental holiday camps, where children can have fun and discover nature. Despite that, it’s a perfect place for people of all ages and a great day out. Located in KwaZulu Natal, Midlands Meander is a stunning stretch with fascinating sights, activities, and sounds. It’s no wonder there are thousands of tourists that traverse the place every year. 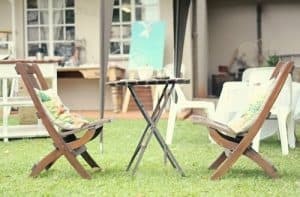 Midlands Meander has different places to eat, sleep, shop, drink, and play. There are mixes of amazing arts and crafts, too. Over the years, Midlands Meander is where weavers, woodworkers, artists, box makers, cheese makers, and herb growers flock. You have hundreds of things to do here. 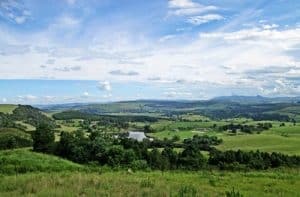 The Midlands Meander is a region in beautiful KwaZulu Natal that stretches from just beyond Mooi River in the north, Hilton in the south, Karkloof in the east and the foothills of the Drakensberg in the west. Many people know The Saunter as a stretch of road, that shows the beauty of African plain landscapes with wildlife and both the colonial and the traditional, but it goes beyond that. It ensures an adventure with unique diversity. From a small number of participants, the Saunter already has approximately 200 participants to showcase their arts, crafts, and foods. Whether you’re in search of travel memorabilia or birthday presents, it has them all. Don’t forget to talk to the locals to make your journey easy. 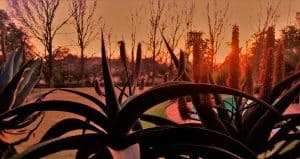 It encompasses much of what South Africa is, and the travelling time from the base of Saunter 1 to the top of Saunter 5, without stopping … just 1 to 2 hours! Of course, it is the stops that make the journey special. So go out and explore, enjoy and have fun!